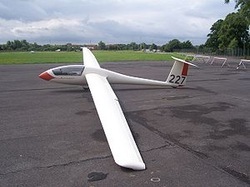 The Schempp-Hirth Mini-Nimbus is a 15m flapped glider and the first one produced by SH with self-connecting controls. Early versions had an all flying tailplane and are said to be twitchy. The 'C' on the 'C' models does not stand for carbon, but simply for the fact it came after the 'B' models (although carbon is an option on C models). Clear? 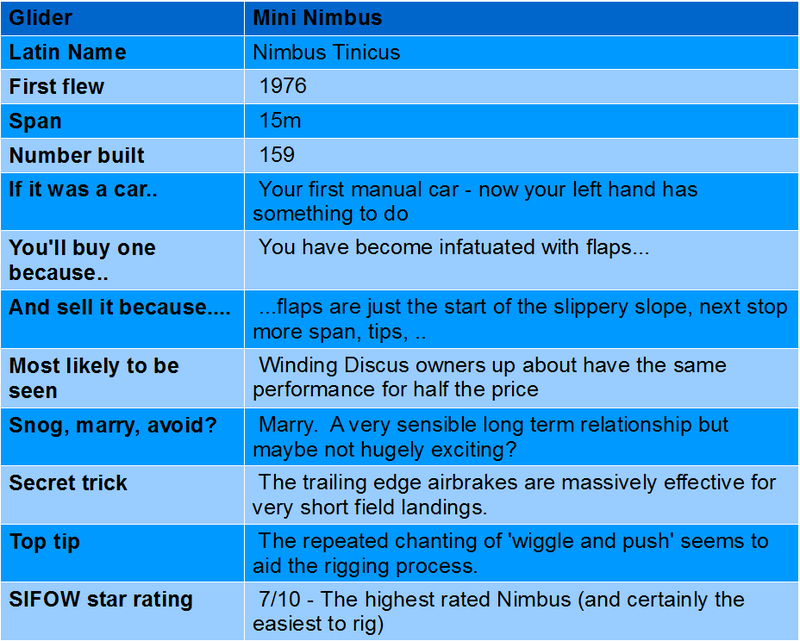 The Mini Nimbus is the slightly dumpy but more sensible best friend of the good looking ASW-20, with auto connect controls, better brakes and a larger cockpit. Gel coat can be a bit iffy, but no more so than many other gliders of a similar age. A sensible choice, if not the most exciting glider in the world.